This sparkling reindeer high above the snow covered rooftops, adds a real sense of drama to this design. Finished with high gloss. 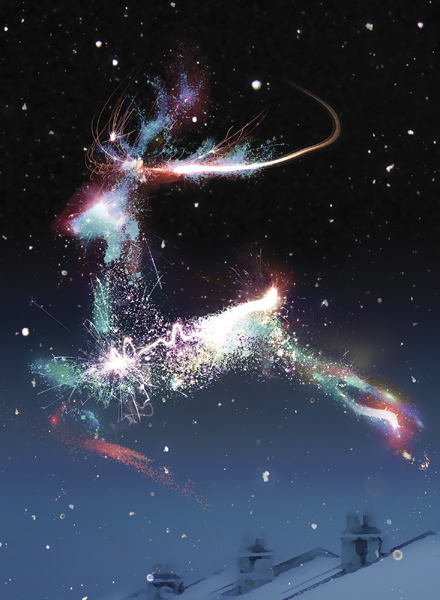 By purchasing the Sparkling Reindeer Christmas card 10p for each card you purchase will be Donated to the Charity of your choice from the Charities listed below.